I’ve got a pair of Mark Twains, can you beat that? I feel like I am playing that old card game Authors. It’s still February, right? So this is my second Mark Twain this year. So far. 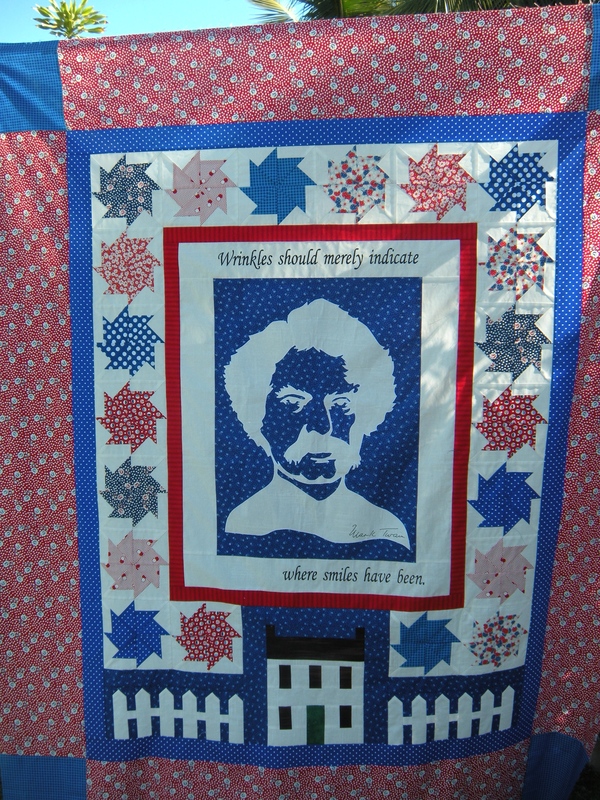 I didn’t exactly set a goal for sewing that included multiple American humorists. Funny how things work out. But I’ve always had a soft spot for Mark Twain since we share a hometown, Hannibal, MO. (Say hi to my mom if you’re in Hannibal.) I posted a picture of my Twainy quilt in January. 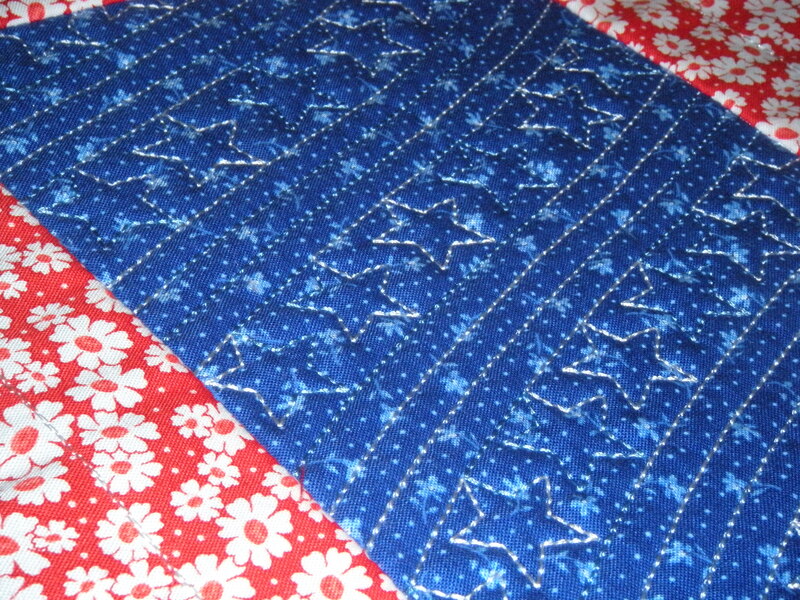 The quilt is heading off next month to the amazing Deonn for her quilty touch. Just before my Destiny headed to the spa, I had an idea. 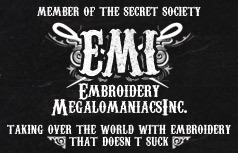 I started an embroidery project that I hope to make into a fun and very personal quilt. I don’t want to share the project until I feel that it is properly cooked. 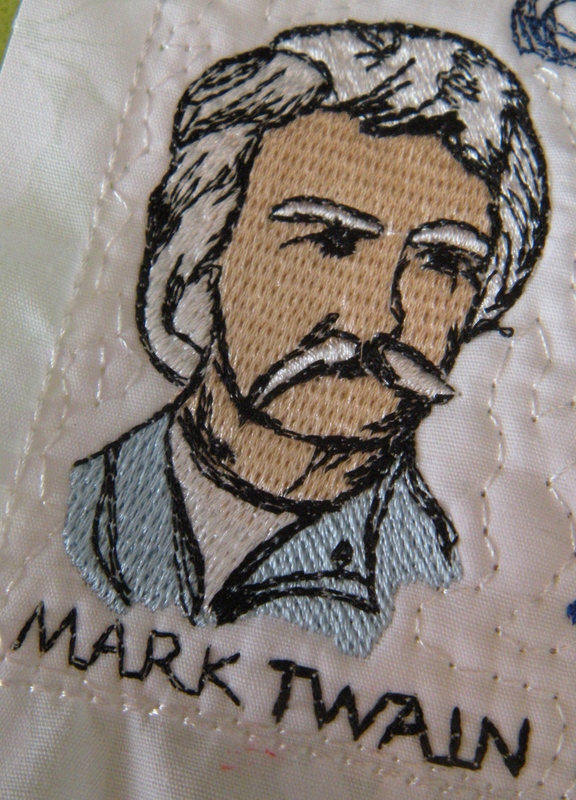 Suffice it to say that Mark Twain will be in the quilt. Previous Guess who’s back, back again. Destiny’s back, tell a friend!